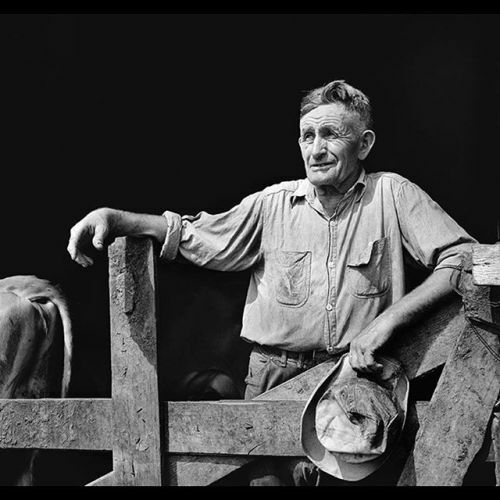 “The @nytimes staff photographer George Tames took this photo of Leroy Halbert, a dairy farmer, in Columbia, #Missouri in 1954. The year before, George had traveled to Kansas to work on a story about a wheat surplus — a major issue for the U.S. that year. In Missouri, though, George encountered a much different problem: lands blighted by drought. The excess of 1953 was gone, but the existential solitude captured in his photos remained virtually unchanged. This #nytweekender, we’re reaching into our #archives to share George’s photos of surplus and solitude in in America’s breadbasket.” By nytimes on Instagram.